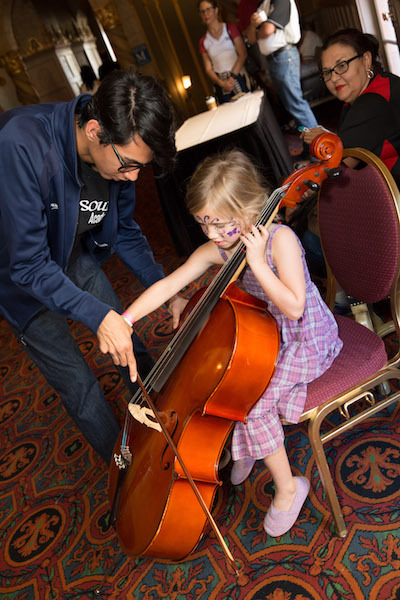 SOUNDS Academy Volunteers & Interns help further the development of music education to underserved youth and Title 1 schools. This awesome group is comprised of dreamers and doers who see no bounds when given a task and making it happen. They adapt and understand that it can be possible to do the “impossible”. They help to mold the future of the students, which we serve. They are elite examples of creativity, leadership, perseverance, resilience, and teamwork. They don’t make excuses; they make it happen! SOUNDS Academy Volunteers & Interns move mountains and have a hand in many aspects of the organization. While we attend a lot of events, we believe that SOUNDS Academy Volunteers & Interns can do more than stand at a booth and smile; time can be better spent to create effective change. With these opportunities comes tremendous responsibility. SOUNDS Academy Volunteers & Interns are deeply appreciated and taken very seriously along with their work. The time commitment for volunteers are dependent upon the availability of the volunteer. The time commitment for internships are approximately 8-12 hours a week. This is an unpaid position. Would you like to help spread music opportunities for underserved youth? Are You Available for 2 – 5 hours to volunteer for an event? Are You Available for 2 – 4 hours during the week to help with administrative tasks? Then we are looking for YOU!!! Present awards, prizes etc. to teachers, students etc. Prepare awards for students, teachers, etc. • React to change and interruptions in a productive and positive manner, meeting deadlines as assigned. • Model the SOUNDS Academy character values while implementing the vision and mission of the organization. • Work independently and without supervision while completing work in an efficient and timely manner. • Assistance in soliciting donations for raffles, silent auctions, etc. Musical Access is a program designed to show and teach children about the different occupations in the field of music. Students get the opportunity to meet music managers and promoters, members of the stage and sound crews, house managers, local and touring musicians, and other professionals in the field of music. Students get the chance to ask questions about their journey as well as hear inspirational stories from the type of people that they strive to be. • Uploading and posting appropriate videos, pictures, status updates, etc. • Create and maintain a Musical Access calendar to include concerts, Q&A Sessions, video interviews, blogs, artist spotlights, newsletters, etc. • Utilize social media to develop, strengthen, and maintain partnerships with program participants, supporters, organizations, etc. • Create and maintain a social media calendar to include potential posts, video interviews, blogs, student spotlights, newsletters, etc. • Uploading and posting appropriate blogs, videos, pictures, status updates, etc. 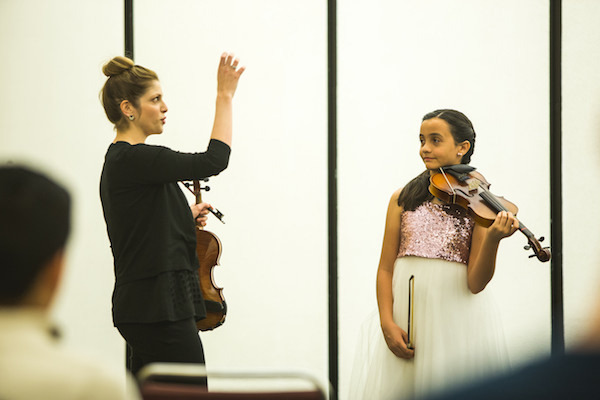 • We are looking for inspirational, patient, professional, and enthusiastic teachers to teach private lessons and group classes for children ages 5 – 18. Classes are taught in Avondale, Mesa, and Phoenix, Arizona. Compensation is on a volunteer and paid basis dependent on work-load. Compensation is competitive, flexible, and based upon the experience and expertise of the candidate.